Your business exists to serve the needs of your clients. No matter how great your product or service, if you are not addressing the needs of your clients in a unique and exciting way then your business won’t last long. That is pretty basic, and of course, you already know that. However, the thing that some business owners struggle with is how to utilize some free online tools to learn the thoughts, needs, and expectations of your customers. If you don’t understand the needs of your clients, then you can’t provide a fantastic solution for them to use. If you don’t know what they think, feel, and desire in the solution you offer then you won’t be able to persuade anyone to buy from you. This is bad for your business, especially if you want to stay in business, and this is also important if you are a nonprofit organization looking for the best tools to help you grow. The bottom line is that no one will want to buy from you unless you clearly understand what your customers want, and you can achieve this with professional freelance copywriting services. Knowing what your customers are thinking and want from your business can help you make better decisions and help your business sustain better growth in the long-term. The best way to know what your customers want is by using free small business marketing tools to help you grow and increase conversions. Product Alignment: Product-driven companies can struggle to keep pace in a rapidly changing market. Even in a niche market, your customers likely have evolving needs. This makes it more important than ever to understand the changing preferences of your customers. Marketing Orientation: Marketing is often one of the highest operating cost your business will incur. Basing how you orientate your marketing efforts with a customer-first approach will help you make better decisions, reduce the risk of poor direction, and help you attract more qualified leads. Increased Sales: The bottom line of your business is driven by successful sales of your products or services. Your company can increase conversions and drive online sales by knowing the terms, needs, and other necessary information about your customers about your solutions. As you already know, your business needs a reason to exist. If you are not fulfilling a need in the market, then you are not needed in the market. While the market can sustain different iterations of the same solution, the reality is that our online world is getting crowded and your customers are getting tired of dealing with companies that all sound the same. Your customers want something different. They want something better. They want something that will help them reach their goals and live their dreams. This doesn’t mean that you necessarily have to spend millions of dollars on R&D or reinvent the wheel. Instead of wasting a lot of time and money trying to solve a problem that might not exist, your company should focus on strengthening your Unique Selling Proposition (USP) because this will differentiate you in the market and make your business stand out compared to your competition. Amplifying your USP will look different for your business depending on your products, service, market, and customers. However, it’s good to review your USP regularly to determine how your company is positioned in the market and if the needs of your customers have changed. This type of insight will help your business maintain a competitive edge. 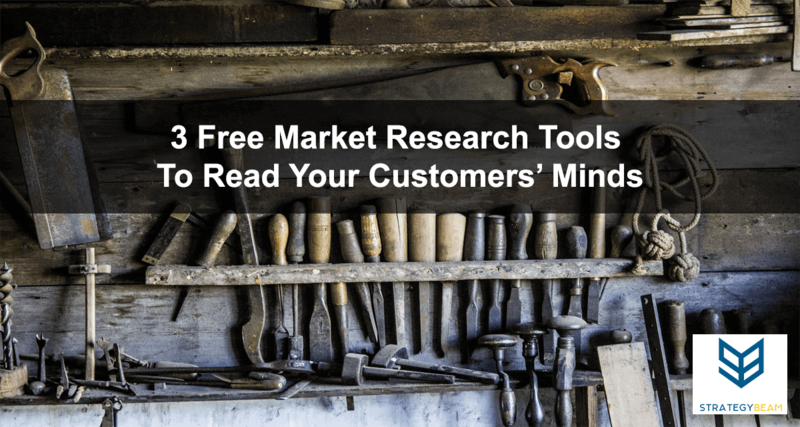 Now, let’s take a look at some free tools you can use to get into the minds of your customers so your business can continue to provide value to your clients! With an active user base of over 200 million unique visitors each month, Reddit is the perfect place to go if you want to learn what your customers are saying about a topic. Along with being a go-to source for honest discussion on almost any topic, you can refer to subreddits to understand the expectations of your customers. 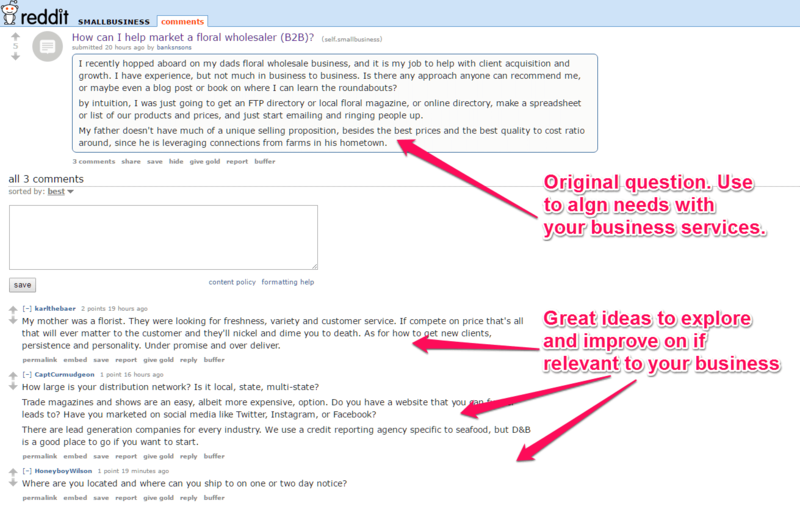 You can look through specific subreddits that are relevant to your company to find questions and general discussion about topics your target audience cares about. This information is often followed by answers and additional comments so you can gather information for the ongoing dialogue between your users. You can use Reddit as a free customer research tool to gauge customer needs and expectations in your market. You can use this information to help guide your decision-making process to develop a new product line or even focus your messaging. Quora is an excellent customer research marketing tool if you are looking for exact questions that your target audience is asking. Along with relevant issues that are on the minds of your clients, you can also find great insight from experts in your field. This information can help you understand information gaps that your business could fill with high-quality content. Use the search tool in Quora to find exact questions that your customers are asking. The issues that you find can be used to tailor your marketing efforts to develop content specific information. You can go one step further and use issues and answers you find on Quora to strengthen your SEO strategy. 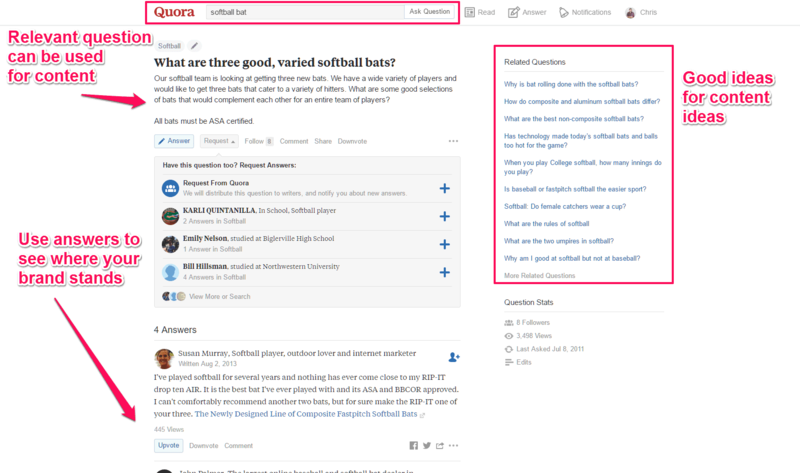 The real-life questions you read on Quora will lead your efforts to build out longtail keywords to make your content more visible to Google and other search engines. Do you want to hear what people are saying about your products or the products your competition is selling? You can turn to Amazon reviews to learn what your customers are saying about your competition and products that are similar to ones that you sell. Even if you don’t sell products on Amazon, you can search for products similar to those that you sell. 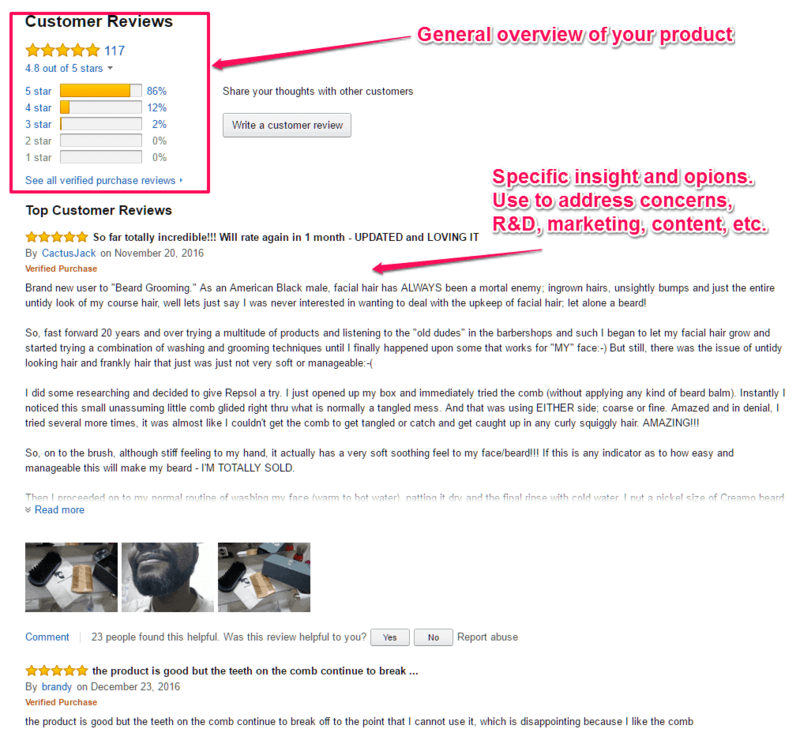 You can use these reviews as a direct path to finding specific problems your target audience experiences with products similar to those that you offer. You can use this information to guide your digital marketing strategy by improving your messaging or even find a gap in the market to offer a whole new solution to problems your customers express in Amazon reviews. As you learn more about your audience with these customer research tools, you will be able to identify opportunities to address the needs and expectations of your customers. If your business wants to gain a competitive advantage that will help your business understand the needs of your customers, fill content gaps, and improve your products and services. A professional digital marketing consultant can help you identify the proper customer research tools to help you learn about your target audience to improve your online marketing strategy!